SEATTLE, May 23, 2017 /PRNewswire/ — Columbia Winery has announced its designation as an Official Partner of the Seattle Mariners for the 2017 and 2018 Major League Baseball seasons. The two-year sponsorship brings together Washington’s first premium winery with Washington’s favorite Major League Baseball team. Both organizations have deep roots in the local Seattle community and this collaboration will attract wine and baseball fans alike. 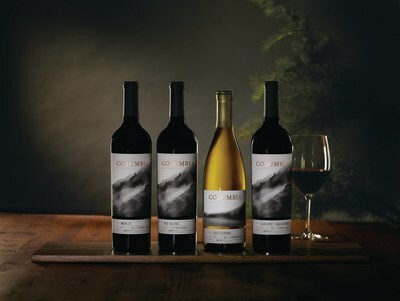 Columbia Winery has recently undergone a significant packaging update, complemented by ongoing enhancements to its wine. The nationally available wines featuring the new labels are now in markets across the country while the re-labeled tasting room exclusive wines will be revealed throughout the course of 2017. The Sponsorship is already in effect for the 2017 baseball season and will come to life in a myriad of ways throughout the season, both inside and outside of Safeco Field. The Seattle Mariners are currently in 4th place in the American League West and will face the Oakland A’s and the Chicago White Sox in their upcoming homestand. Washington’s original premium winery, the trailblazing Columbia Winery has been discovering and celebrating Washington wine for 55 years. Winemaker Sean Hails blends classic traditions with innovative winemaking techniques to craft a distinct collection of Washington wines. Established in 1962, Columbia Winery was among the first to prove the incredible winemaking quality of Washington’s Columbia Valley. Located just outside of Seattle in nearby Woodinville, the iconic Columbia Winery tasting room is open daily for tastings, events, wine education and unique Northwest-inspired offerings from local ingredients.